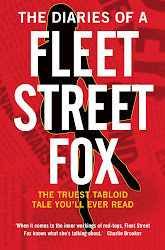 fleet street fox: Scrutinise this. LET me explain something to you about humans. This is that if you don't keep an eye on them, they will do whatever they can get away with. I mean they're generally pretty great - humans by and large are well-intentioned and reasonably-behaved. They will offer help or a kind word to strangers. But they're also programmed to steal, cheat, lie, whatever it takes to win the race they think they're in. What starts off as a minor transgression, a cheeky way of just getting a little ahead of the next guy, will be repeated time and again as humans tell themselves it's not a big deal right up to the point where someone catches them in the middle of a major crime spree. So a till which can be easily emptied without anyone noticing will attract one or two people who take a fiver for a laugh. A fiver becomes a tenner, word spreads, a few more people dip in and before you know it many of the public servants in the Houses of Parliament find a reporter knocking on their door asking why they've paid off three mortgages with taxpayer-funded expenses. It seemed perfectly reasonable to every human being who was personally benefiting from it, and less so to the humans who were paying for it. In exactly the same way billionaires like Robert Maxwell have nicked hundreds of millions of pounds from their companies while thinking there's nothing wrong in it, but it's not much different to what plenty of other business people do every day in slightly-more-legal ways. By the same token if you dabble in Middle Eastern politics over many decades, playing one unreasonable side off against another while taking little note of what the same sides are doing at home, one you may suddenly find more than one party has developed or is on the road to getting nuclear weaponry, by which point the international community finds itself looking at a hand which involves only Def Con I, Def Con II, and an almighty mess. And inevitably, if you're a policeman who knows journalists broke the law to listen to the voicemails of a missing schoolgirl and don't point out the wrongness of their behaviour, arrest them or at the very least have a long chat with their boss, they're going to think not only 'it's not that wrong' but also that they can carry on doing it. Of course it's all wrong to start with - it's wrong to take someone else's money, fiddle around with plutonium, or listen to other people's phone messages. Of course everyone should not do it to start with. But humans do, because they tell themselves it is justified and keep saying it until someone puts them straight. If you see a red light, and you're in a hurry, you might put your toe down just to sneak through. What does it matter? Each time you do it you're risking your life and health, as well as that of a handful of strangers, yet you do it anyway. Imagine that the traffic light in question was outside a police station. No-one stops you, so you keep right on doing it. Then one day you smash into another car, and need to be cut out by the fire brigade. A copper comes and sees you in hospital and asks you what you were playing at. And you say: "But no-one said I shouldn't." Which is why we all need to be scrutinised, regularly. People who complain about being watched are generally trying to get away with something, in my experience. That's why a free Press is an invaluable thing, why cuts to the police force are a really bad idea, and why the United Nations needs to grow a pair, quicksmart. Even democracy needs to be checked. We have an elected House of Commons which should, by dint of being elected, get to say what happens. But sometimes they get carried away, and the current lot found themselves there not because we liked them but because we couldn't decide which of them was the least bad. Two-thirds formed themselves into a Coalition and came up with a financial plan which some like and some don't, but which has yet to improve things. Part of it involves putting a cap on the benefits people can claim when they're on their uppers, a move no-one much could argue with and which has been bolstered by regular leaks about immigrant-mums-of-six living in million-pound houses. Outrageous! Take their dole away. Except the dole is all of £60 a week, and the reason immigrant-mums-of-six are in stinking big houses are because we sold off our social housing stock more than 20 years ago. Councils are still legally-bound to provide homes and so are forced to make use of the private rental market, where your average human landlord charges whatever they can get away with, leading inevitably to a workless family being allotted £1,000 a week which goes straight into that landlord's pocket (this is why wages are better). A cap on how much we spend on that sort of thing must be good - but we're capping what the family can be allotted, rather than what the landlord can earn out of local authorities. Because this seems impractical, unfair and more expensive in the long run when the plan got passed by our elected representatives and went to the House of Lords to be rubber-stamped, they forced an amendment to raise the cap. This has caused a stink, because the Lords are unelected and the MPs think they should be able to do what they like. But the task of the second house has always been to scrutinise the first, and when they nalls up - as they often do - to be a check on their immense power. The Lords consist of many people, from bishops to career politicians, charlatans to great worthies, people who were born to a title and those who only turn up when they feel like claiming the allowance. It can be an out-of-date waste of money, and at the same time a repository of great experience and careful thought by people who try to get it right rather than just make a name for themselves. 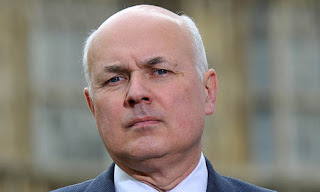 In throwing the benefits bill back to the MPs they've not only pointed out its flaws and ensured, probably, a fairer piece of legislation but they've also seriously hacked off Work and Pensions Secretary Iain Duncan Smith, which is no bad thing. I know he thinks he's right, every time he opens his mouth I worry that the phrase 'work camps' is going to come out.